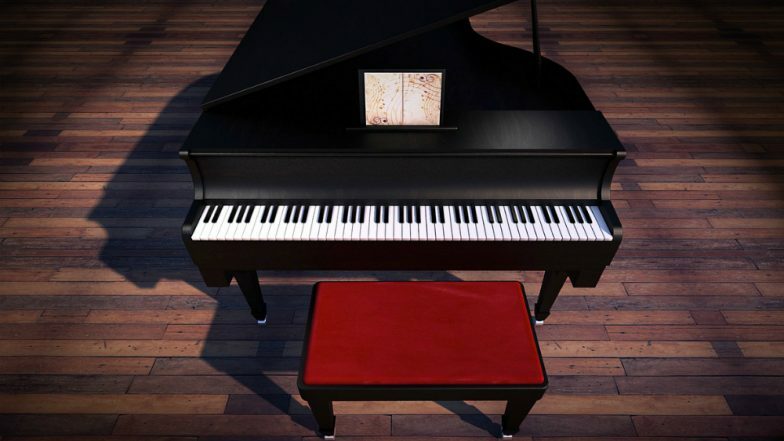 World Piano Day 2019 Celebrated in NYC: Do You Know Why German Pianist Nils Frahm Declared the 88th Day of a Year As the World Piano Day? New York, March 30: A travelling piano placed in a transparent cargo van voyaged through New York City, making stops at various locations and inviting people to play it as a special way to mark the annual World Piano Day. From Midtown Manhattan's Lincoln Centre and Bryant Park, to downtown's Union Square and Chinatown, the piano on Friday attracted passersby who happened to be amateur pianists or piano lovers to get inside the van and show their musical talent and passion. Piano Event in China Creates New Guinness World Record. In 2015, German pianist Nils Frahm declared the 88th day of a year as the World Piano Day, as modern standard pianos have 88 keys. It has been celebrated in dozens of cities around the world over the past years. Many people were attracted towards the van by the piano's beautiful melodies, taking photos and cheering for the performers, Xinhua news agency reported. Launched by Universal Music Group, an American global music corporation, the event also celebrated the global release of Chinese pianist Lang Lang's new album Piano Book, a collection of pieces he has loved and played since childhood. Jana Gana Mana on World's Grandest Piano: Video of This Version of India's National Anthem is Going Viral Ahead of Independence Day. As the first new album in three years from the globally celebrated piano virtuoso, the Piano Book aims to bring classical music to a global audience and spread the message that classical music is universal, according to a press release. The travelling piano echoed Lang Lang's ambition to share the joy of making music and inspire people from all backgrounds to fall in love with the piano, as he believes that "music makes life better".